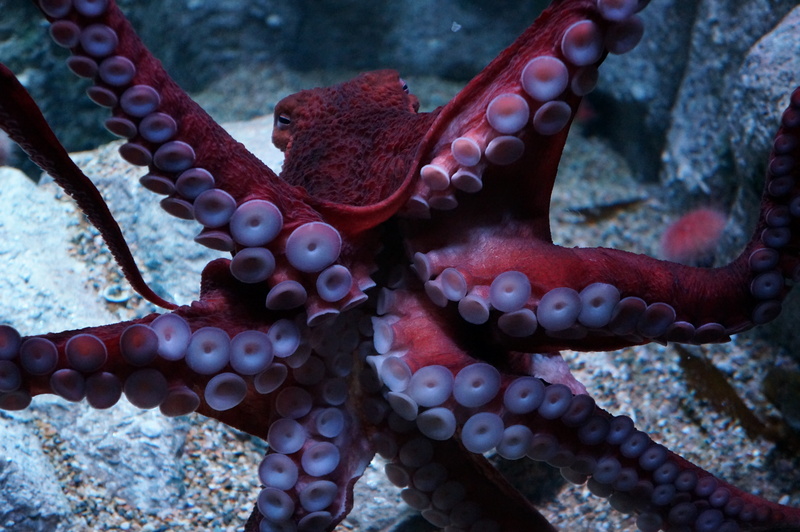 Tentacles have taken over the Monterey Bay Aquarium — and that’s a good thing. This weekend, the new Tentacles exhibit debuted in Monterey, Calif., and, while I most likely haven’t thought much about cephalopods since eighth grade science, this new exhibit helped me rediscover my love for these curious creatures. The exhibit features one of the greatest varieties ever of rarely seen animals and includes multimedia interactives, tattoos and art that traces 4,000 years of human fascination with these creatures. Over the life of the exhibit, visitors might see any of the two dozen species that will rotate through a dozen living exhibits, from giant Pacific octopus to Hawaiian bobtail squid, the wunderpus and others – including one of the world’s smallest squid and one of the world’s largest cuttlefishes. Due to the short lifespan of these creatures, exhibit curators have been cultivating a variety of cephalopod species over the last two years to populate the exhibits and create a healthy environment. 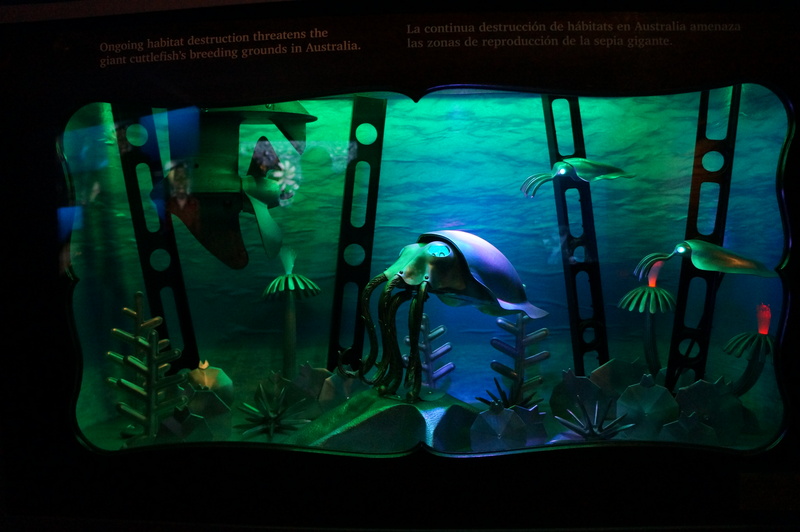 In addition to the live exhibits, there are three mechanical sculptures that were commissioned by the aquarium from Nemo Gould, a contemporary artist living in the Bay Area. The sculptures demonstrate the importance of conservation to these creatures’ habitats.